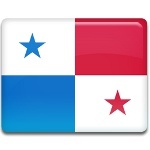 Panama declared its independence several times, because throughout the history it was a part of different countries. On November 3 Panama celebrates Independence Day (also known as Separation Day), that is anniversary of separation from Colombia in 1903. Panama was conquered by Spain in 1538 and remained under its rule for almost 300 years. As the Spanish American Wars of Independence were heating up, Panama was preparing itself to declare independence. After Latin American countries had gained their independence from Spain, Panama voluntarily became a part of Colombia in 1821. Panamanians tried to secede Panama in 1899-1902, but their attempts were rejected. The United States administration decided to support the independence movement in Panama and the latter finally declared its independence on November 3, 1903. Celebration of Independence Day is marked with annual military parades and various events, that are organized across the country. However, many people decide to go to the beach and enjoy a day-off.